I know it's been a long long time since we had an episode of The MJ Show. I apologize for that. Have just been very busy shooting my first tv series. I'm anchoring a music reality show for Zee Business now and it's been a lot of fun traveling with them shooting the episodes. The show will start from the 16th of October (this saturday) and it's on air at 9pm. It repeats the next day (sunday) at 10am. Also I've been busy with the new radio show - One Mumbai One Music on 94.3 Radio One. I hope you've caught a few episodes of that. I've had some fabulous guests on my show so far and I've got some more great guests coming in soon. Let me rectify that a bit now with the fab album preview for you. 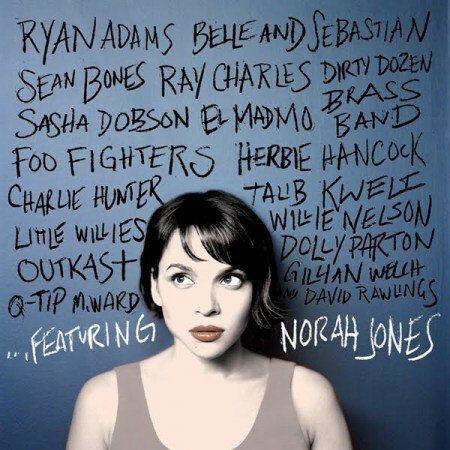 Brilliant new album that features Norah Jones along with some incredible singers is being released in November. Here's a sneak preview of the album! Make sure you go out and buy it!! It's worth every rupee! Now I didn't get the version featuring Norah...but here's how the song sounds with Merida Rose doing Norah's parts. Again, couldn't get Norah's version so here's the original by Irma Thomas! Hope you enjoyed that! Make sure you go and pick up this album. It's brilliant! It'll be out in November and this is what it looks like. This is your Musicman Mihir...signing off!